This entry was posted on Thursday, October 11th, 2007 at 5:44 pm	and is filed under Recipes. You can follow any responses to this entry through the RSS 2.0 feed. Both comments and pings are currently closed. 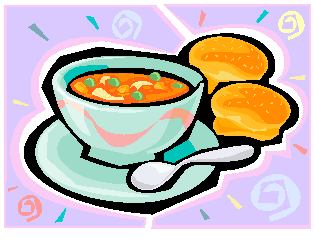 A BIG thanks to you, Joyce, for bringing this yummy soup Wednesday night. The fact that it was ALL GONE is proof enough that this soup is a keeper! I have to print this one up, for sure! The soup/salad/rolls supper was certainly enjoyable. Sue’s rolls were nummy. I’ll have to ask her for the recipe.